Doors that can be locked remotely with a smartphone app. Facial recognition cameras that alert you when certain people arrive at your front door. Motion sensors that trigger video recordings when someone steals your Amazon packages. If we’re being honest, smart home security systems sound extremely creepy to me. But I understand the sell: smart home security devices can keep people safe and offer peace of mind – did I remember to lock the door? Doesn’t matter, my phone can lock it. Nothing in this world is perfect, though. 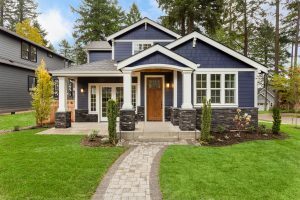 Unlike smart home security systems, you can’t use a computer to hack into and unlock a standard deadbolt. 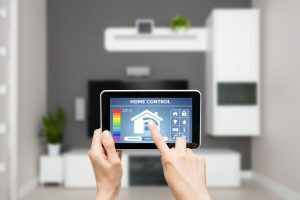 The Insurance Journal recently ran a piece describing yet another experiment where researchers easily hacked into someone’s smart home security system. In one scenario, a researcher hacked into a person’s phone using a coffee shop’s free WiFi. Once inside, he accessed their smart light switch app, and then jumped from there into the smart home’s security devices. Voila, smart door unlocked. All that’s missing is a red carpet to welcome thieves as they waltz in the front door. Everything is a trade-off. As informed consumers, we can’t assume that a solution to one security problem (forgetting to lock our doors) will solve every other security problem – or that it won’t create new ones (hacking into our front doors). It’s important to weigh the risks and benefits of smart home security, and to conduct due diligence in researching the cybersecurity protections of each system. It’s also important to consider additional protections, like purchasing cybersecurity insurance coverage, just in case. If that sounds onerous, it’s nothing compared to dealing with a robbed house.